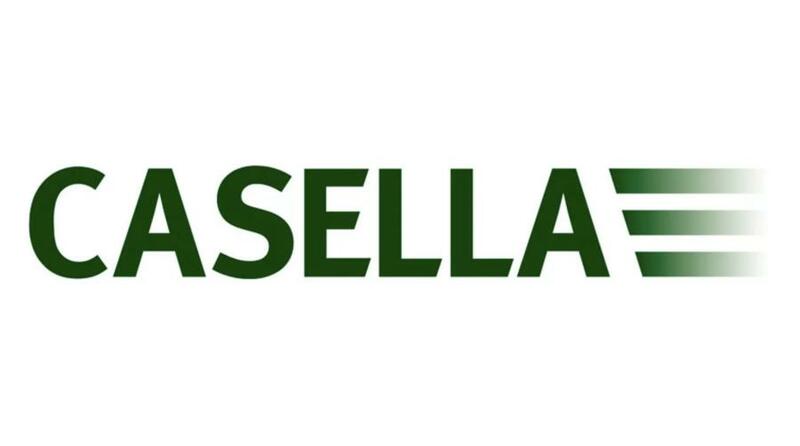 Often in the workplace, noise surveys are conducted and Casella's CEL 630 is the preferred supporting device, as the operator is present, ensuring that the noises measured are of good quality. With officially more mobile phones in the world than people, it is clear to see the advancements that technology has made over the past 20 years. It has seamlessly integrated itself into our everyday lives and in many ways, due to its enticing simplicity, has become a replacement for human intuition. A report in Forbes magazine suggests that by 2020, mobile apps are forecasted to generate around 189 billion dollars in revenue and as of March 2017, there were 2.2 million available apps in the Apple's App Store. While this new technology has brought many benefits, we are all aware of the potential negative impact it may have on natural human intellect and on using our own instincts. How can we, as monitors of public environments and workforces, embrace the benefits of technology without losing our core skills, expertise and experience? Like any other industry, environmental health and safety have felt the positive effect of the push toward technology and the advancement of monitoring is a big part of this. Occupational hygienists, noise consultants and engineers alike are using new technology in their everyday roles, monitoring dust and noise levels for individual workers and in the wider environment. Erich Thalheimer, a principal acoustical engineer with WSP|Parsons Brinckerhoff, frequently used Casella's CEL 593 noise and vibration monitoring device when he managed the noise control program during peak construction years (1996–2005) for the biggest urban infrastructure and transportation project in U.S. history; the I-93 Central Artery/I-90 Tunnel Project, more popularly known as the “Big Dig” in Boston. The project alleviated an extensive traffic problem that had plagued the city for half a century, saving Boston's road users an estimated $500 million dollars in accident rates, fuel consumption and late delivery charges by the time of its completion in 2007. The project also reunited Boston's neighborhoods with the waterfront, built new bridges and public parks, and paved the way for the city's growth well into the 21st century. During this time, Erich oversaw contractor compliance, performed specialized noise/vibration studies, developed innovative noise control solutions and ensured the project's EIS noise commitments were fulfilled. At the heart of Erich's work was the confidence of knowing that he could trust his CEL 593 as a reliable, highly accurate yet simple-to-use device to accompany his wider research into construction- and traffic-induced noise and vibration experienced by people living close to the Big Dig. The simplicity of the CEL 593 and Erich's expertise combined to offer viable and effective solutions to the problem, with a subsequent drop in the number of complaints received. Erich still uses the same device to this day, some 20 years after he initially purchased it back in 1996. Casella's CEL 593 is now an obsolete instrument and time has moved on. The CEL 630 Series, its modern equivalent, is much smaller and has a color screen. Monitors should be compatible to the international IEC 61672 or ANSI 1.4 standard, ensuring correct measurements are made. Often in the workplace, noise surveys are conducted and Casella's CEL 630 is the preferred supporting device, as the operator is present, ensuring that the noises measured are of good quality. From the survey, a representative measurement is made for each job function with exposure time for each, ensuring an eight-hour exposure can be calculated as a result. When monitoring is taking place, it's important to always take into account other environmental factors prevalent on that day. For example, results taken during the summer will be affected by open windows and skylights, creating a breeze that could distribute dust particles within the area being tested. If the same test were to be conducted in the winter with windows closed, the dust would remain on surfaces making it more apparent. This simple change in season could cause an issue to go unnoticed. The most successful results can be achieved when there is a combination of human intuition, experience and the objectivity of the equipment. It is clear that despite the growth in technology, its undoubtable benefits and its seamless simplicity, a true understanding and appreciation of acoustics are best achieved with collaboration between technology and people. The CEL 593 enhanced understanding of noise exposure in the workplace, and as the instrument evolves, this enables technology to be an extension of our own capabilities, not a replacement. For more information, visit www.casellasolutions.com.